Good shuttle service. Good access to airport. Good accessibility by car. 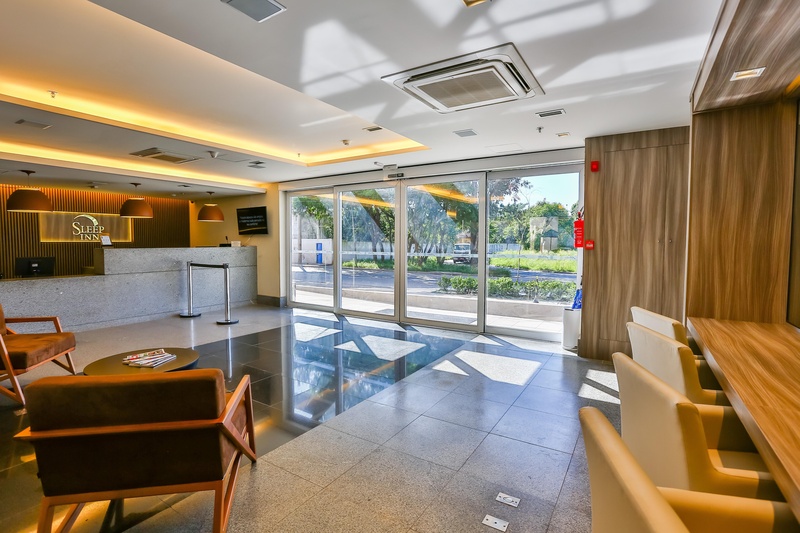 The Sleep Inn Guarulhos presents the best proposal to connecting and corporate travelers who want an easy and comfortable lodging. Located in the vicinity of the Airport. Kess Restaurant presents a differentiated proposal for its guests presenting mix of national and international cuisine. 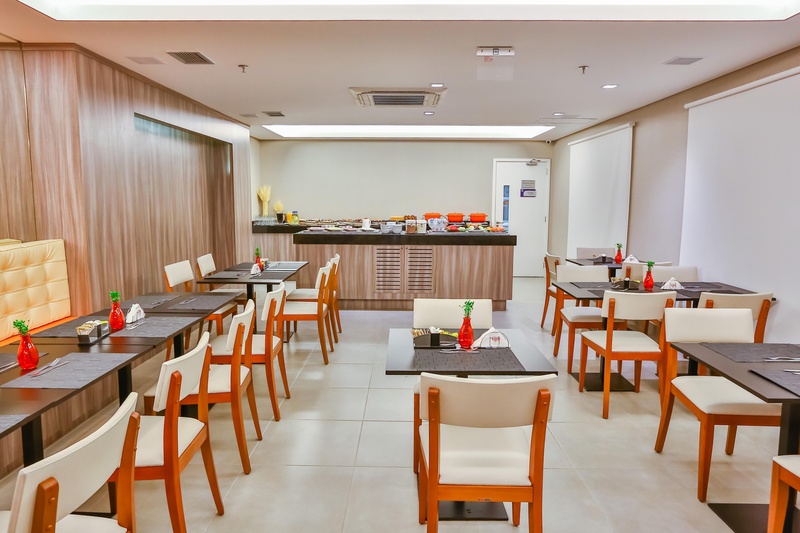 Its venue for events in Guarulhos is the Sleep Inn, with comfortable rooms and great location. Services of room, breakfast, coffee-break, lunch, dinner and cocktails. Accommodates institutional events, seminars, lectures and meetings. A comfortable bed, a spacious bathroom for a relaxing bath at the end of the day. Our accommodations are specially planned for your comfort and above all your well-being, because all we want when we are outside our homes is to feel welcomed! Free shuttle bus from the airport. Very close to the airport. Excellent location. Very good hotel. Easily accessible by car and close to the airport. Awesome vibe. Modern facilities. Beautiful decoration. Newish rooms. Good wi-fi. Wi-fi good. Good wifi. Cleanliness excellent. Clean rooms. Tidy hotel. Good continental breakfast. Excellent breakfast. Breakfast was great. Desk actually working. Plugs not working. No coffee machine. Helpful employees. Shuttle bus was late. Check in took a lot of time.